After many years of collecting the bills for the Jefferson Space Museum, we have finally reached a point to launch a full fledged virtual museum! The site will go live on Sunday, November 27, 2011. 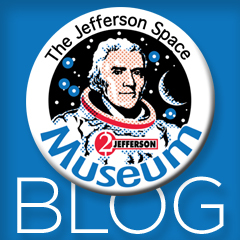 Check out our new place on the web at The Jefferson Space Museum. (Many thanks to Fish-I Design & Video for their work on the site.) And please join us here in the conversation, as we post to this blog updates on new acquisitions, research on the bills in the collection, and discuss space artifact collecting in general.